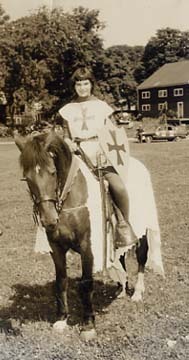 Gayla Meredyth Yates, A.K.A. "Ramdassi"
Amazing! Feng Shui Consultant, Shaman, Qi Specialist, Transformational Teacher, Mentor & Motivational Public Speaker, since 1971. 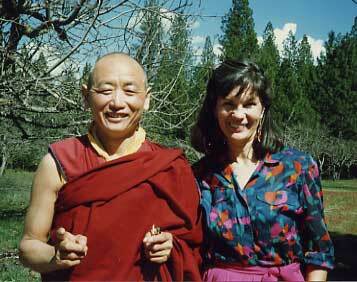 Gayla traveled extensively through China, Japan, Nepal, India, Europe and the United States to receive state of the art psychological technologies, ancient metaphysical methods, esoteric shamanic secrets, and enlightening spiritual initiations from venerable masters. 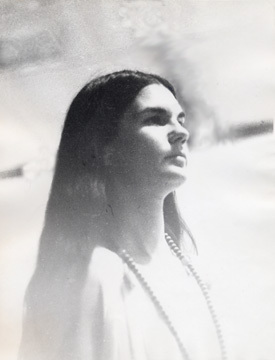 Gayla embodies spiritual lineage, wisdom and knowledge. 38 years of Amazing Feng Shui experience: Miracles happen! 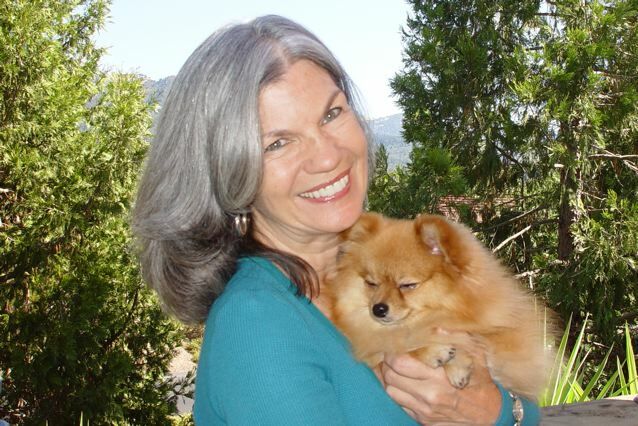 Gayla has a unique talent for using her voice shamanisticly, which profoundly shifts Qi (bio-energy) to activate and attract good fortune for your happiness, healthy living, enhanced relationships, and thriving business. I was born in The Year of The Golden Dragon. As soon as I was old enough to walk, my grandmother started taking me to The Museum of Fine Arts. She said I always made a beeline to the Asian section and then I never wanted to leave. At age eleven, I painted all my furniture black with red and green Chinese dragons all over! As a young woman, I studied Fine Art, Design, Graphics and Calligraphy, at The Museum of Fine Arts College, and at The Massachusetts Institute of Fine Art. Then I became an Interior Designer & Color Consultant for a major commercial Interior Design company in Boston. In 1966, I moved to California. I was soon initiated into Transcendental Meditation, Jo Rei, Reiki and Hawaiian Huna. 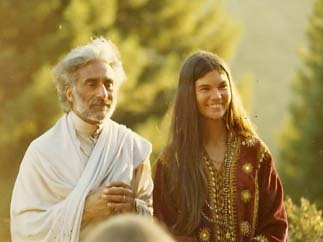 In 1968, I was one of twenty people that lived all summer with Baba Ram Dass (AKA, Dr. Richard Allpert) at his home in New Hampshire. There, I practiced Meditation, Yoga, Fasting, Silence, T'ai Chi and Sufi Dancing. That winter, I moved to New Mexico to raise my daughter, do my art, ride my five horses, pursue esoteric spiritual studies and to deepen my study of Sufism at Lama Foundation. In 1972, I returned to California to study Sufism with Murshid "Sufi Sam" Lewis and Murshid Moineddin. I was also leading seminars on, Tantra, Tarot, Astrological Yoga and "Beyond Astrology". 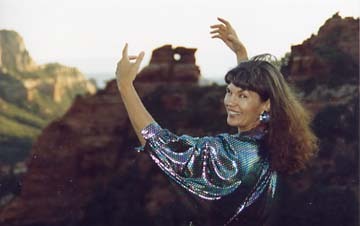 I did advanced work in EST, Actualizations, Silva Mind Control, Sedona Method, Rebirthing, and Lifespring. While reading Edgar Cayce, Swami Yogananda and Carlos Castanada, so many of the miracles they wrote about were being duplicated in my life that I coined my motto, "A miracle a day keeps the doldrums away!" Even after a decade of associations with the Hindu tradition, I'd never heard the word 'Ahimsa', until Yogi Chen asked me to do the calligraphy for a book, a collection of Chinese poems he'd just finished translating, called Ahimsa. The poems were all about the virtues vegetarianism and harmlessness. In Sanskrit, the philosophy of "No Harm" is called, "Ahimsa". I decided to design an original calligraphic font with an oriental flair for this special assignment. Upon that decision, the Ahimsa book suddenly became a major project. At first I was feeling overwhelmed by the number of hours it was taking. But, my apprehension soon dissipated as I noticed I was being profoundly transformed by the concentration. Then I realized that this project was more than just another calligraphy job. It was a privilege, an honor and a gift bestowed upon me by Yogi Chen. So, when it came time to deliver the poems, I wanted to acknowledge my appreciation by giving Yogi Chen something extra, something special, along with my calligraphy. It wasn't easy to imagine what to give to a Taoist monk, who needs absolutely nothing. After a few meditations on the question, I got the inspiration to wrap the calligraphy in my meditation shawl, a beautiful large scarf from India, printed with red Buddhist symbols, on yellow silk. Having served for so many years as a meditation shawl, it was filled with Baraka (spiritual energy), so what could be better? On the long drive home, I kept contemplating how I could fulfill such a destiny. But, since no answers came rushing in to answer the question, I turned my attention toward noticing that, although I was deeply pleased about having given Yogi Chen my meditation shawl, I was also aware that there was now a 'hole' in my life which needed to be filled. That precious old scarf was so permeated with Baraka I was wondering how I could ever adequately replace it. You just can't buy such a thing at the mall. Within minutes of arriving back home, my Sufi friend, Sherdyl, dropped by for a spontaneous visit, and to bring me a present, "For no special occasion", he said. Imagine my amazement and delight when he handed me a magnificent, huge, gorgeous, Indian meditation shawl! Only then did I tell him about my gift to Yogi Chen and how I'd just been wondering how I could replace my wonderful old shawl. Sherdyl's gift, being so perfect and timely, was obviously divinely inspired. We laughed together, rejoicing in the mystery of miraclous synchronicity. Even though it was already nine PM, I called Yogi Chen. I couldn't wait to ask him how such a miracle could possibly happen. He said, "God did it." I said "Yes, but, how could this happen?" He said, "God did it." I said, "Yes, I know, but, how did it happen?" He said, "God did it." I said, okay. Thank you. My life continues to be filled with spectacular synchronicities, all of which are *miracles* to me. Master Da Liu was my first T'ai teacher, in 1968. In 1978, I was certified to teach T'ai Chi Chih, by Master Justin Stone. I continued my study with Master Chungliang Al Huang. In 1985, I traveled with Chungliang to The People's Republic of China, to deepen my experience with T'ai Qi, T'ai Ji, Qi Gong, Feng Shui, Chinese Culture and Chinese Philosophy. At Lanting Institute, I was awarded the Certificate of Accomplishment for Intensive Chinese Study. I taught T'ai Qi, T'ai Ji, T'ai Chi Chih and Qi Gong classes and seminars for more than twenty years. In the early eighties, I focused on Hinduism with Sri Dhyanyogi Madhusudandasji, who named me "Ramdassi ~ Servant of God". Through the ninties, I became a Radical Breatherapy Practitioner, a Motherwavework Senior Practitioner, an Emotional Freedom Technique Practitioner, and well versed in several other personal growth trainings. In 1994, Jack Canfield certified me as a Self Esteem Facilitator. I've traveled through China, Japan, India, Sri Lanka, Nepal, France, England and all over the U.S. to be with venerable Masters and to explore the Qi (bio-life-force-vitality) and geomancy in ley lines, vortices, lava caves, labyrinths, European cathedrals, Asian temples, sacred circles and circle dances. The first popular book on Feng Shui, in English, was published in 1987; but a decade before that, in the seventies, my business, "Interior Castle ~ Metaphysical Interior Design," specialized in balancing and harmonizing environments, using principles of esoteric geometry, Qi, color, light and metaphysical methods, to enhance the well being of the inhabitants: i.e., Feng Shui! 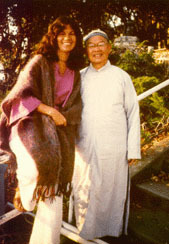 In the eighties I studied the new wave of Feng Shui in America with many renowned Masters, including Black Sect Tantric Buddhism Master, Professor Lin Yun. For more details, please visit the Feng Shui page of this website. At an ancient Taoist temple in China, I had a strong deja vu experience: I could describe what was around every corner, I knew where everything was! -- I went by my middle name for twenty years. During that time, I signed my name simply, M. Yates. But, as an ordained Sufi Cheraga and with my Doctor of Divinity, I could have legally signed it, Reverend M. Yates. Coincidentally [?] the first acclaimed authority on Feng Shui, in the Western world, was the Reverend M. Yates. He kept a detailed Feng Shui Journal while doing missionary work in China... In 1868. When asked how long I've been doing Feng Shui, I'm inclined to say, "A very long time... in this lifetime." is the synthesis and the fruition of my life's [or lifetimes'] odyssey." • The Magic of Noh Form T'ai Qi (a synthesis of all the Qi Forms I've studied).